The wagon is designed to transport loose materials with double-sided discharge by gravity and convertible roof. 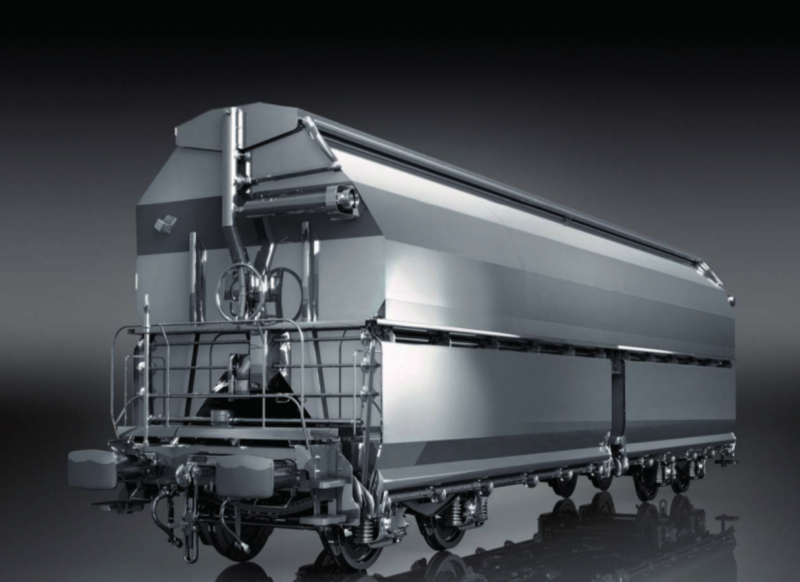 The wagon operates in S regime in temperatures –25/+50 °C. The wagon is equipped with a pneumatic and manual operating system for lateral dumping shutters. Hump in a gravity defined in UIC 522. Brake – composite brake blocks of Bg-configuration, hand brake operated from the platform.